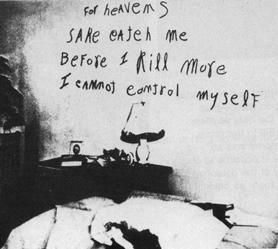 The infamous Zodiac Killer of San Francisco made a similar plea in a 1969 letter to police: 'Please help me, I can not remain in control for much longer.' We commonly attribute such a sentiment to sociopathy. But it has now sprung up again in a more unlikely place. It is a curious line to take, in an advanced society. 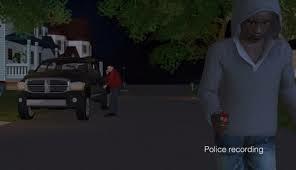 The message is that though you may believe yourself in a city of civilized men, you are in fact no different than an Indian villager at constant threat of leopard attacks. Your life en ville is a sort of urban safari. In Somnapur Village, it just comes with the territory. 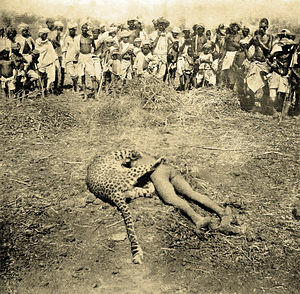 If Afros really want us to treat them this way--as dangerous wildlife--then we can only examine some case studies to see if simple guidelines could indeed change tragic outcomes for non-Afros. 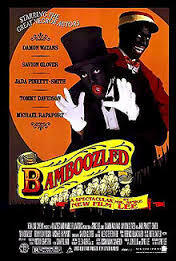 Spike Lee's 2000 film Bamboozled follows the tale of a disgruntled black TV exec who tries to get himself fired. Like the two Broadway scammers in The Producers, he picks the most shocking premise possible—a modern-day minstrel show—and is horrified to see it succeed wildly. In 2000, then, it is understood that minstrelsy is the most odious entertainment imaginable. Why? 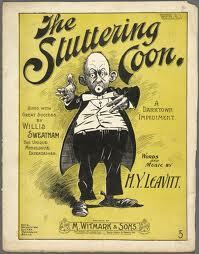 Minstrel shows lampooned black people as dim-witted, lazy, buffoonish, superstitious, happy-go-lucky, and musical. … Racial integrationists decried them as falsely showing happy slaves while at the same time making fun of them. So this was not advertised as a stage show. It was advertised as a peephole view of what black people were really like. To that extent, it affected all of society because those people who didn't know blacks, and there were many places where there were very few blacks, assumed that those characterizations, those depictions, those foolish characters on stage, were real black people. And so it had an immense effect on the way mainstream society thought about blacks.